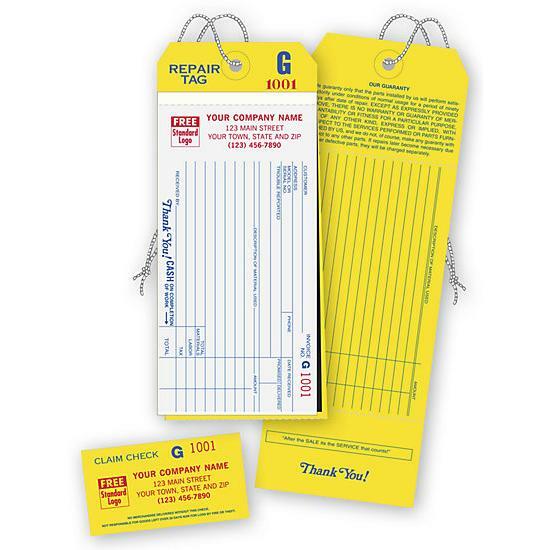 We print Bicycle Work Order Tags for bicycle repair shops all across the USA & Canada. 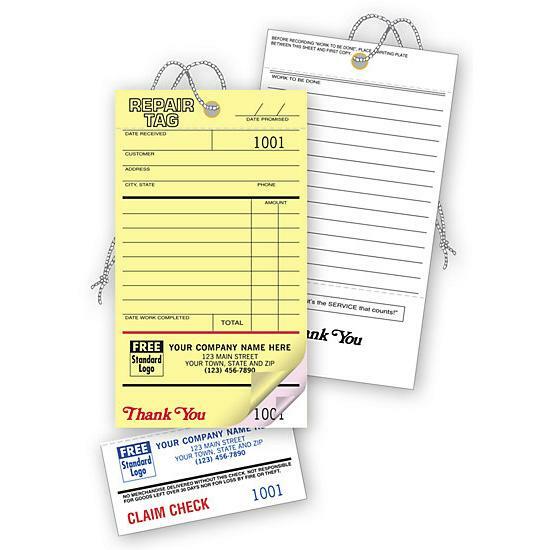 Select from many formats to help you bill each customer and keep track of inventory. 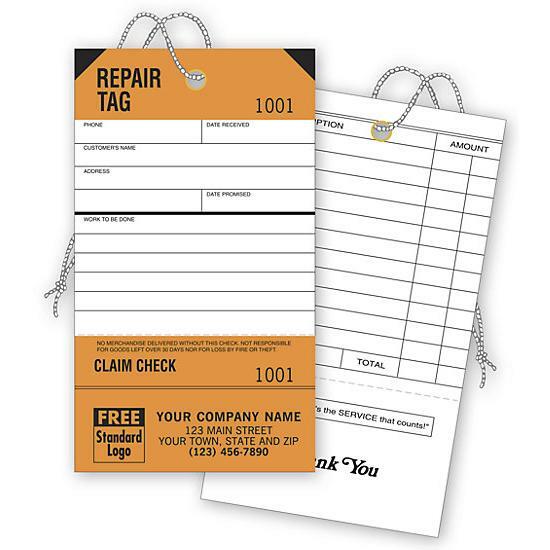 Easily write down each customer's information like their name and other contact details. Then write up the nature of the repairs, cost, labor, and other pertinent details about the bicycle. 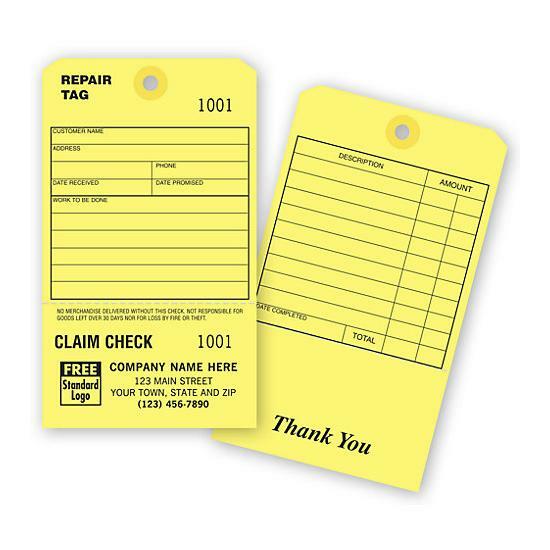 The detachable claim checks are sequentially numbered to help you identify each job and the owner of the bicycle. If you own a bicycle repair shop it is necessary for you to create a work order for each job that you perform. 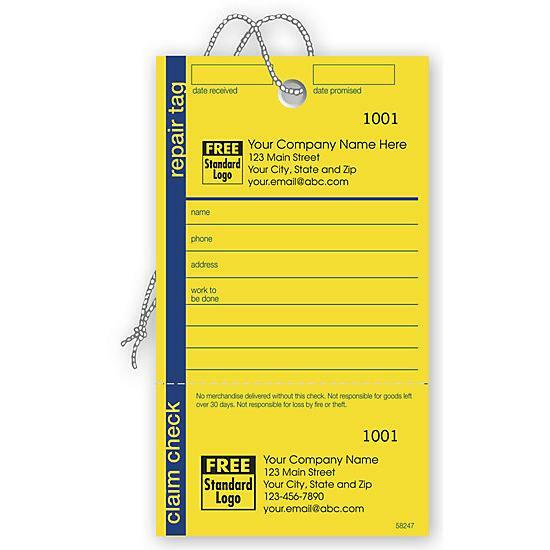 These are printed as tags or small compact forms that include 2 or 3 part carbonless or carbon copy paper. 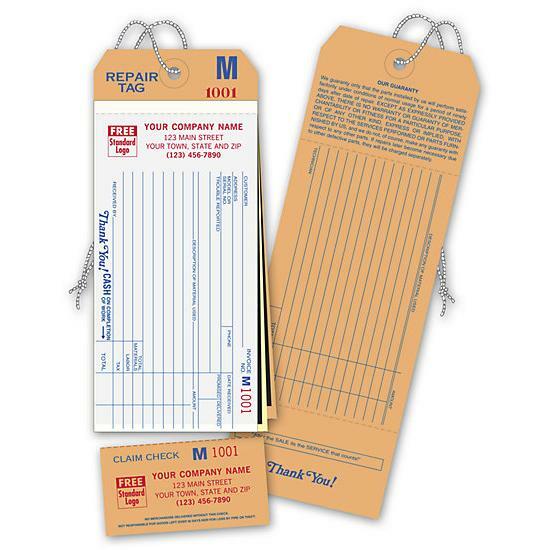 The last copy is made from a sturdy manila stock that allows you a firm surface for writing. 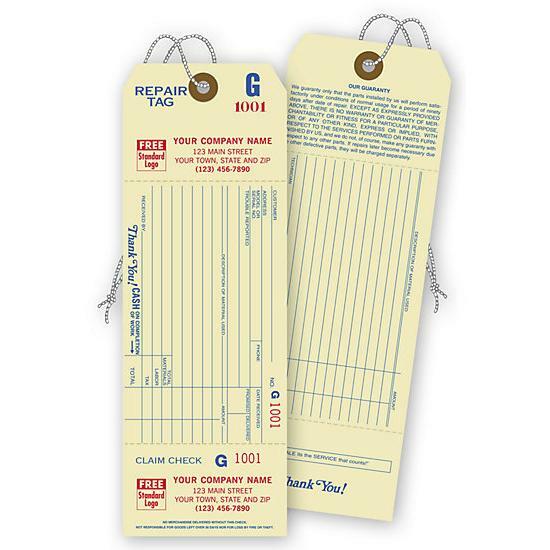 There is a hole punch with a string for you to attach the claim check to the bicycle. 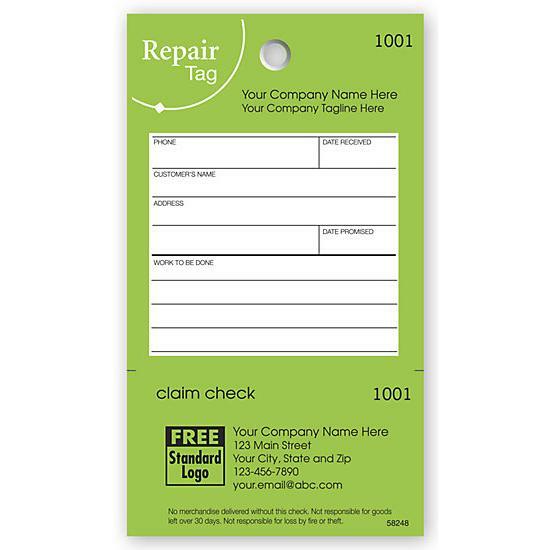 They are pre-printed with information pertaining to the repair of bicycle and therefore makes it very easy for you to fill out the form. It lists certain common service description like install tire, adjusts handbrake, respoke wheel etc. 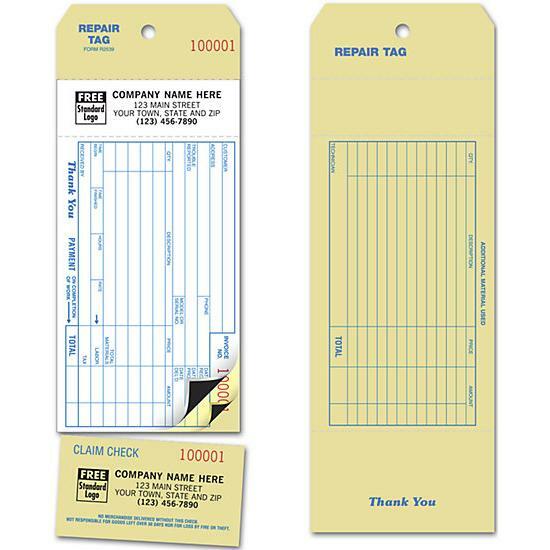 There are also two columns for you to input the cost of labor and parts. 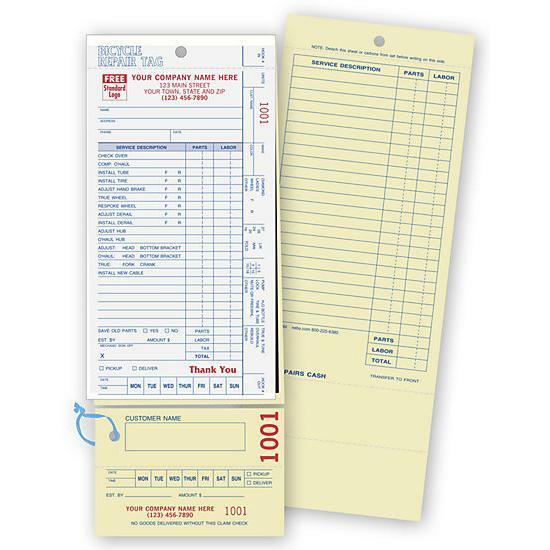 Checkboxes allow you to select pickup or delivery. 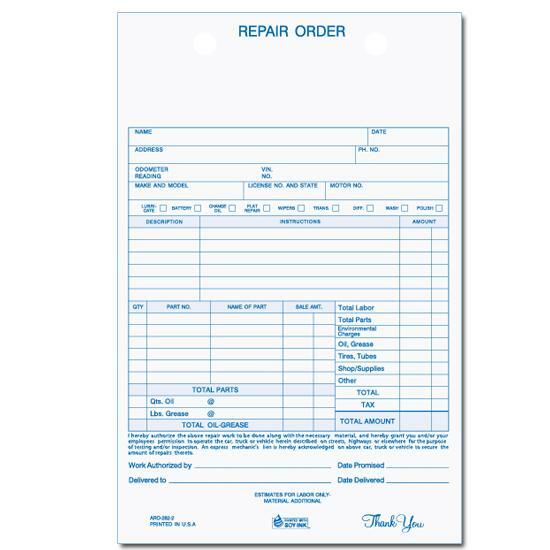 There is additional space on the back of the work order for you to list service description, parts, and labor costs.